If you have a property over 20 years old, your home may contain asbestos. But what if you live in a modern home? Although blue and brown asbestos (the most dangerous forms of asbestos) were banned in 1985, white asbestos was not finally banned until 1999, suggesting that some houses less than 20 years old may still be at risk of potentially containing asbestos – and many homeowners are completely unaware. Asbestos is dangerous when the tiny asbestos fibres are released into the air and get into the lungs. During building work, for instance, it can pose a serious health hazard to anyone who disturbs it and breathes in its fibres. Very suddenly, simple home improvement work can turn into anything but and become very hazardous if asbestos is present and needs to be removed – a process which can be both expensive and disruptive. Obviously properties over 20 years old are more likely to contain asbestos than newer properties; however, analysis of SAVA Home Condition Surveys carried out in England and Wales suggests that, even in properties under 20 years old, asbestos may still pose a risk. Our research has revealed that 19% – that’s almost a fifth – of properties surveyed contained products which might incorporate asbestos (asbestos can only be completely and accurately identified by sampling and testing, and surveyors acting for the property purchaser cannot ‘damage’ the house they are inspecting) Once the surveyor has indicated that a potential asbestos containing material is present, it will be down to a specialist to confirm the presence of asbestos, or otherwise, and to instigate removal if necessary. So where might asbestos be lurking? Asbestos was used in a number of construction products, for instance in some reinforced plastics, in certain textured coatings, decorative plasters and paints, for fireproofing and insulation and in asbestos cement products, which were compressed into flat or corrugated sheets (corrugated sheets are still commonly seen used for roofing on outbuildings etc. but it was also used for wall cladding). Other asbestos cement products include gutters, rainwater pipes and even water tanks. 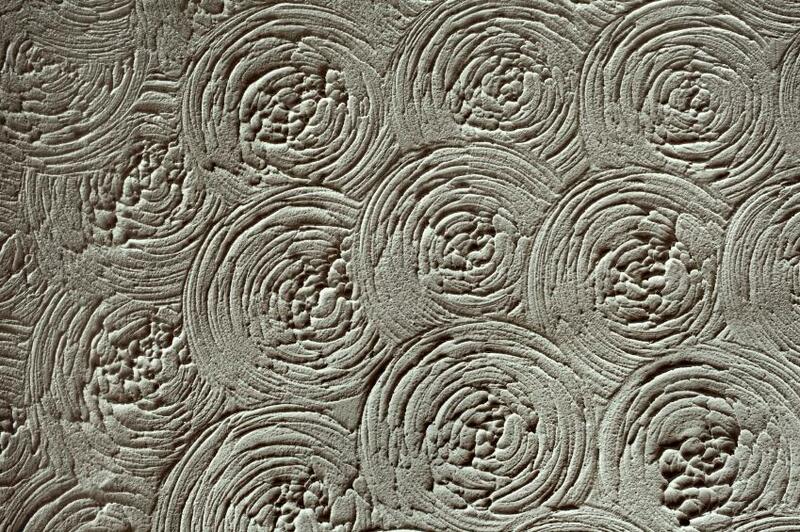 Textured ceiling – sometimes referred to as an ‘Artex Ceiling’ because Artex was a successful proprietary brand of textured coating. The map below shows the postcode areas in the UK where Home Condition Surveys have been carried out. The colour of the dots represents the percentage of homes where potential asbestos containing materials have been reported by SAVA Accredited surveyors. Note particularly the red and grey dots, where red signifies that a high percentage of homes surveyed in that postcode area may contain asbestos and grey signifies that approximately half of homes surveyed in that area may contain asbestos. 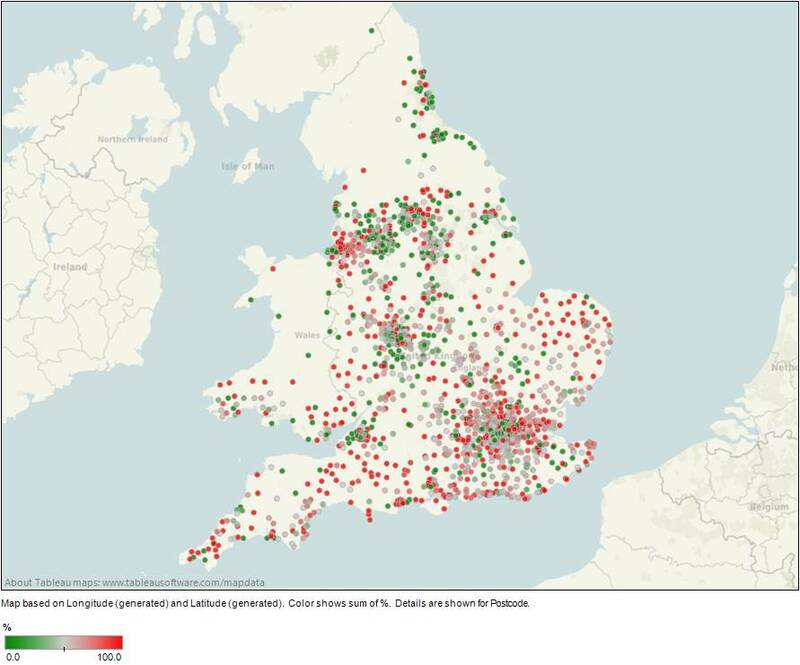 As you can see, the risk of asbestos in UK homes is widespread and, although naturally clusters seem to appear around major cities such as London and Birmingham, the use of asbestos in domestic building construction seems to have little correlation with location. And remember, these statistics are only based on properties that have had a Home Condition Survey carried out. Approximately 80% of people do not get a condition survey when buying a new home which can result in the need for expensive repair work down the line. Many people believe a property valuation is enough, but this will only uncover obvious defects that have a significant effect on value and will not focus in detail on the condition of a property – issues such as asbestos, damp and the early signs of building movement can often be missed. When asbestos is present in a property, the risk is often minimal provided homeowners are careful not to disturb it. But what if you don’t know it’s there? In 2010, BBC News reported that, based on a survey carried out by the British Lung Foundation, “almost two-thirds of people would not be confident identifying asbestos in their home”. Buying a new home can be stressful and it is the role of a qualified surveyor to provide you with reassurance that there is nothing lurking which a valuation would not have picked up. When buying a new home, it is important for the sake of your finances and health to ensure that the house you are buying is in suitable condition and, if not, whether the house is worth the repair work needed to make it into your dream home. Remember, all it takes is one hidden defect for your dream home to become a nightmare. Join the 20% of people who have seen the benefits of a condition survey and protect your investment.